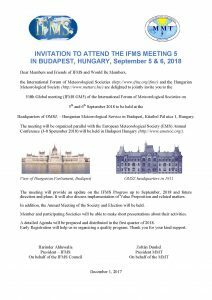 The International Forum of Meteorological Societies (IFMS) will hold its fifth Meeting in Budapest, Hungary. The meeting is hosted by the Hungarian Meteorological Society (MMT). All Member Societies and would-be-member societies are invited to attend. 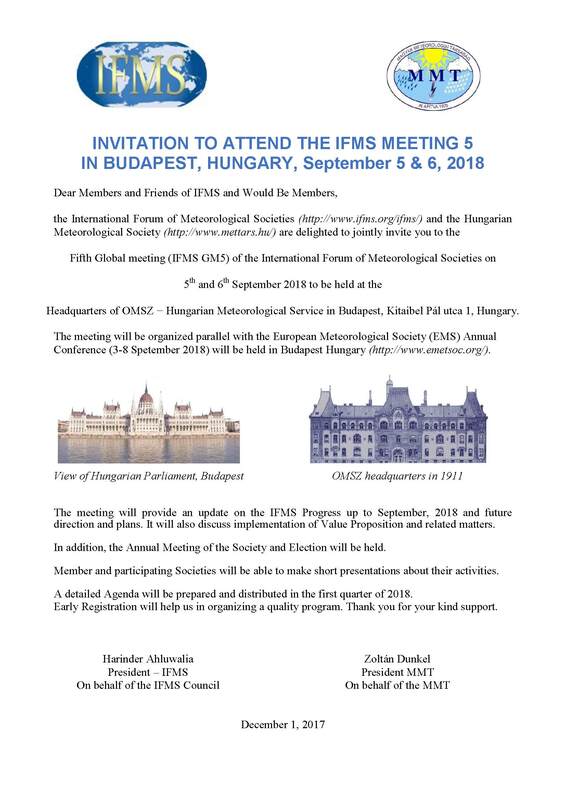 The meeting will be discussing the future direction of IFMS, giving opportunity for presenting interesting papers and have the General Body Meeting. Headquarters of OMSZ ? Hungarian Meteorological Service in Budapest, Kitaibel Pál utca 1, Hungary. 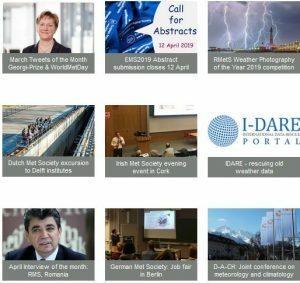 The meeting will be organised in parallel with the EMS Annual Meeting in Budapest. The meeting will provide an update on the IFMS Progress up to September, 2018 and future direction and plans. It will also discuss implementation of Value Proposition and related matters. In addition, the Annual Meeting of the Society and Election will be held. Member and participating Societies will be able to make short presentations about their activities. A detailed Agenda will be prepared and distributed in the first quarter of 2018. Early registration will help us in organizing a quality program. Thank you for your kind support.